A Koi pond in your garden always adds an extra dimension making it more peaceful and serine. What can be more inviting to a home than a beautifully maintained Koi pond, filled with colourful fish and water plants? But they are not always easy to maintain. With our submersible pumps you can have your Koi ponds working 27/7 without having the pump break and without using crazy amounts of electricity. No more smelly green ponds, only clean and healthy water. Should you want to save more electricity, you can switch your pump off every 4 hours for up to 2 hours. A timer can be installed to do this automatically. A submersible pump oxygenates and circulates the water and this is what helps keep your pond clear and healthy. It also helps with keeping mosquito larvae from progressing. Movement and aeration of water is vital if you are keeping fish, frogs or any type of animal life near or in your pond. Fish need oxygenated water to breath and if the Koi pond isn’t oxygenated properly 7 days a week, 365 days a year, your fish could die. There is nothing worse than ponds that look green and slimy. With constantly flowing water which is done by using a submersible pump this will not happen at all. 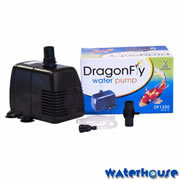 Other products are available for helping to keep your koi ponds water quality at an optimum e.g. Bio-filters, algae clear powder and UV lights. 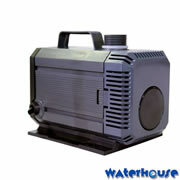 These products work perfectly in conjunction with a submersible pump. 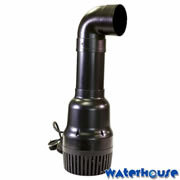 You can choose between 2 different types of pond pumps, external and submersible pumps. 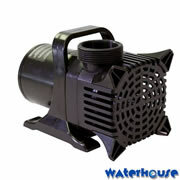 Submersible are the most popular because they are a lot cheaper, cheap to maintain and are a lot easier to install. Our submersible pumps are extremely efficient on electricity consumption. External pumps will cost more and will also need more plumbing and need to be fitted by an electrician. However they are generally used when the pond needs large amounts of water together with higher pressure to move water longer distances. Or please feel free to contact us with any enquiries you may have by filling out our response form below.